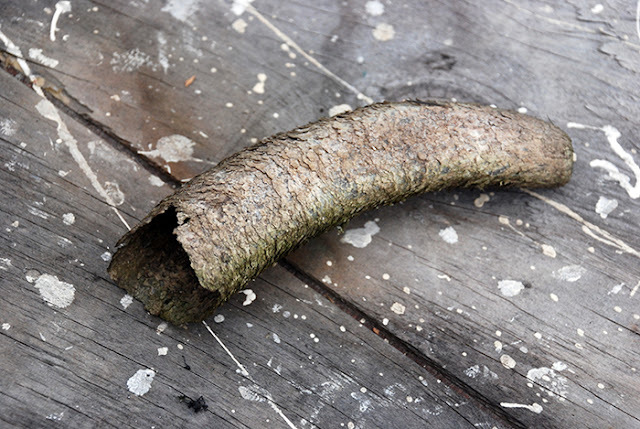 Fill a cow horn with manure from a lactating cow, bury it in the ground for six months, add a small amount to a bucket of warm water and stir for one hour alternately clockwise and anti-clockwise forming a vortex. Spray over your land in a dilute concentration. This practice might sound more akin to witch craft or some airy fairy hippy approach to farming, however Biodynamic wines are known to come out tops in awards year after year. 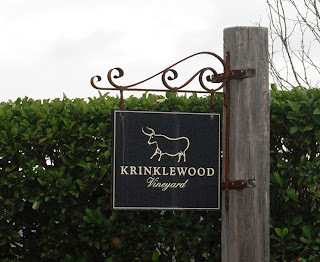 Recently I had the opportunity to visit Krinklewood Vineyard in the quiet farming community of Broke with the Hunter Organic Growers Society. 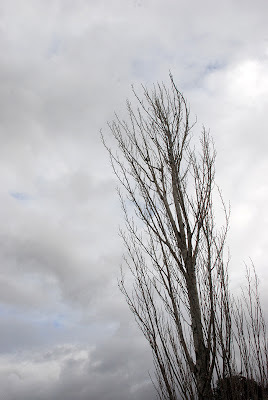 West of the busy Pokolbin Wine area, heart of the Hunter Wine tourism mecca, the air carried a muffled sound of silence. 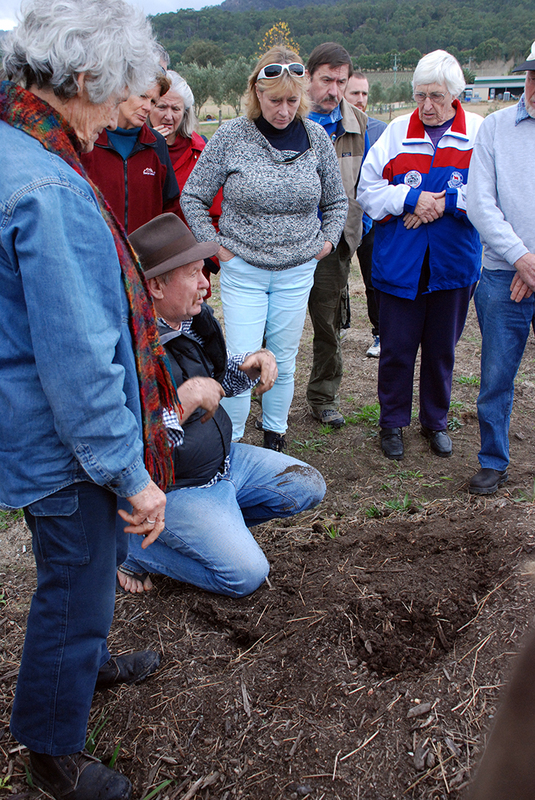 What I know about biodynamics is the basics. 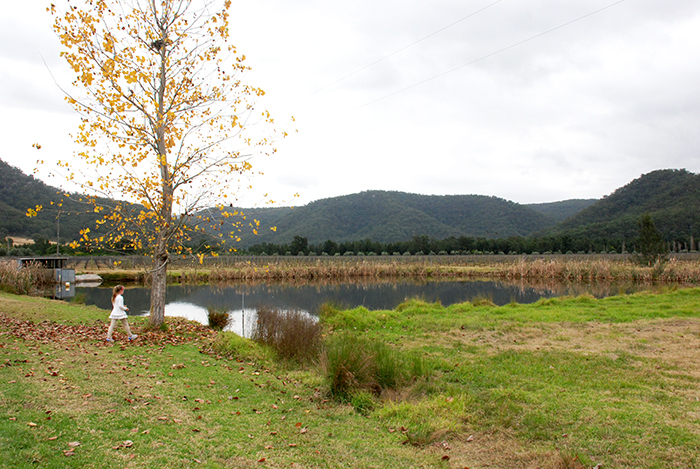 A few years ago I spent a week living in a converted silo on a biodynamic beef farm in the Fosterton Valley near Dungog. I quizzed the lovely couple that welcomed us a guests on their farming practice. 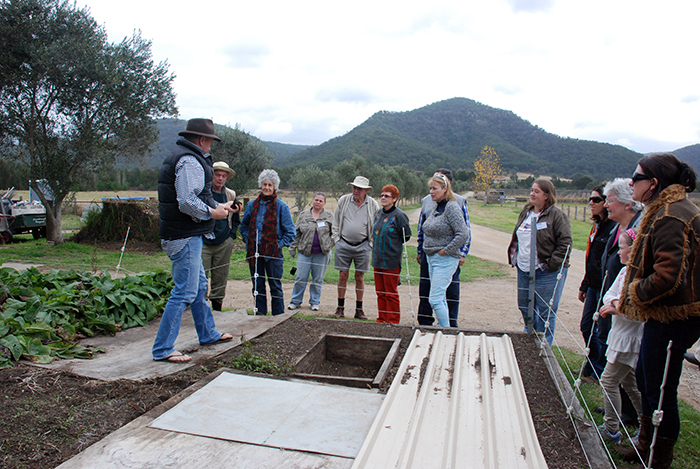 What is biodynamic farming? Once a year their soil humus levels are checked, you can tell how much humus their is by the amount of fine white roots that show in a cross section of grass. I watched a dvd about making compost and using the biodynamic preparations. Their cows looked happy, and they tasted good too. In fact I am yet to taste a better beef steak. 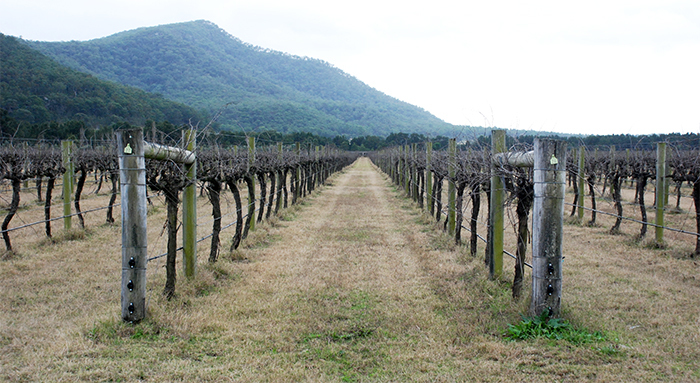 Rod Windrim began planting their 48 acre vineyard in 1997. Ten years later they became fully certified biodynamic. He welcomed us with a chat about how they run things. Have you met our Woofers? Apologies issued forth as he tended to jump from one topic to the next. Questions were asked and answered. The biodynamic approach to farming was developed in the 1930's by Rudolf Steiner in Germany in response to the requests by local farmers to help them re-vitalise their farms after the ill effects of chemical agriculture. 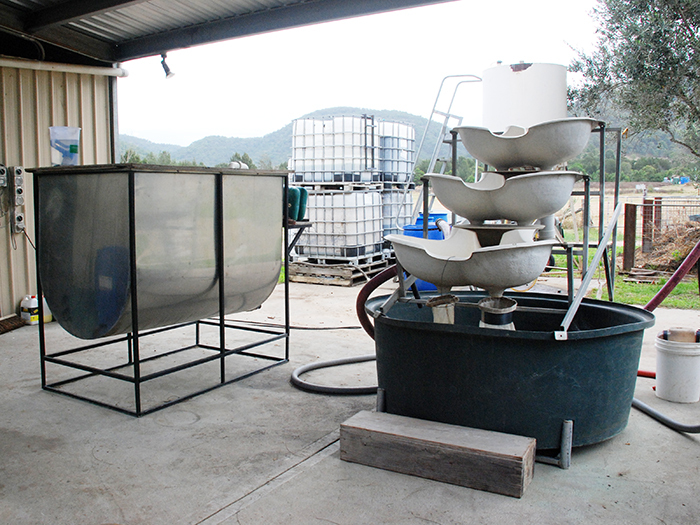 Steiner developed a system that worked to encourage the natural processes present on the farm to perform optimally. On every biodynamic farm I have visited I notice some interesting looking 'fountains' like the one to the right. 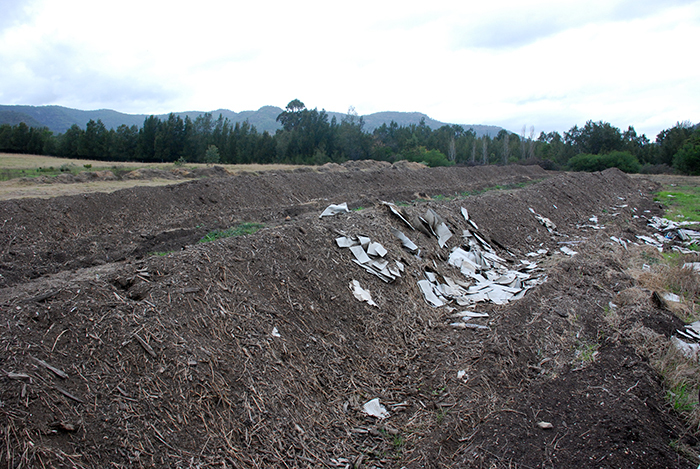 Central to this holistic approach to farming is the use of 'preparations' like the composted cow dung in the horn. These 'fountains' are actually used to create the vortex that I think of as a way of imparting a particular energy to the preps. It makes them alive, active. 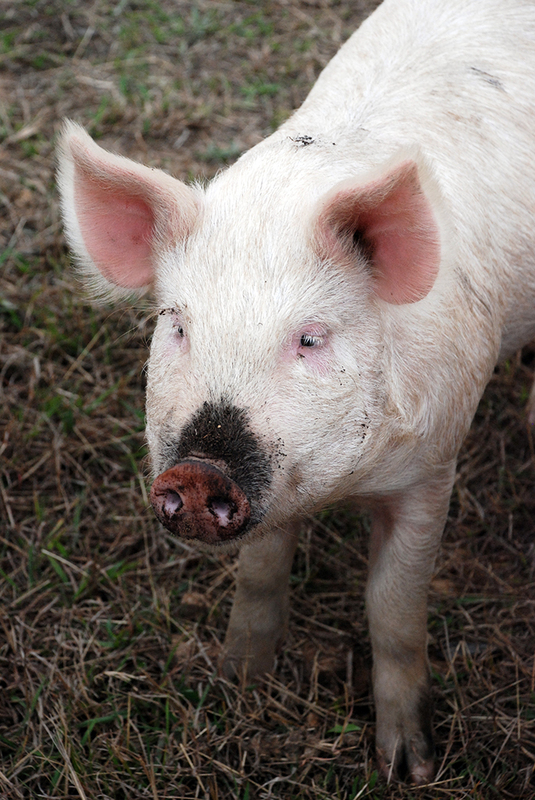 The farm as a living organism. There is a way of thinking that has emerged that sees the earth as one organism. In fact it even has a new name: Gaia. Earth is just plain old earth, but see it as a whole network of complex systems that interrelate to create a whole living system, then Earth becomes Gaia. This approach to seeing every thing in terms of how it relates to the next thing is what Biodynamics is about. the bio dynamic 500 preparation. The moon creates an arc across the sky. At particular times of the month it rises higher in it's arc. At this time the sap in plants rises to the upper and outer extremities, to it's leaves and branches. Like the ocean tides, the sap flow is directed by the moon. Prune the vines when the moon is low, or descending and sap flow is low, and you'll have dry prunings good for chopping into mulch. At Krinklewood everything is guided by natures rhythms. 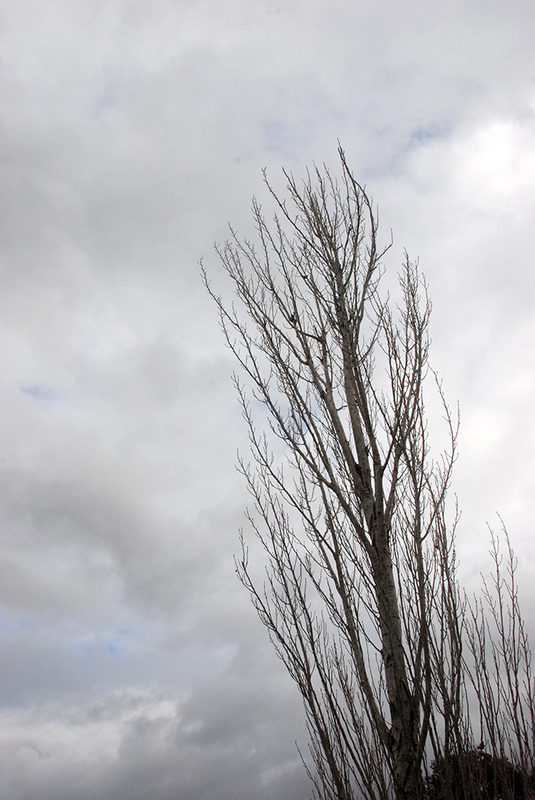 Pruning, planting, composting, is done when the moon indicates it is the optimal time. Where it is in the sky, what constellation it is in front of, how far away from earth it is. All this that happens out there in the cosmos influences what happens here. One big organism, earth as part of the universe. Another way of making BD 500 is using a cow pat pit as Rod shows us. 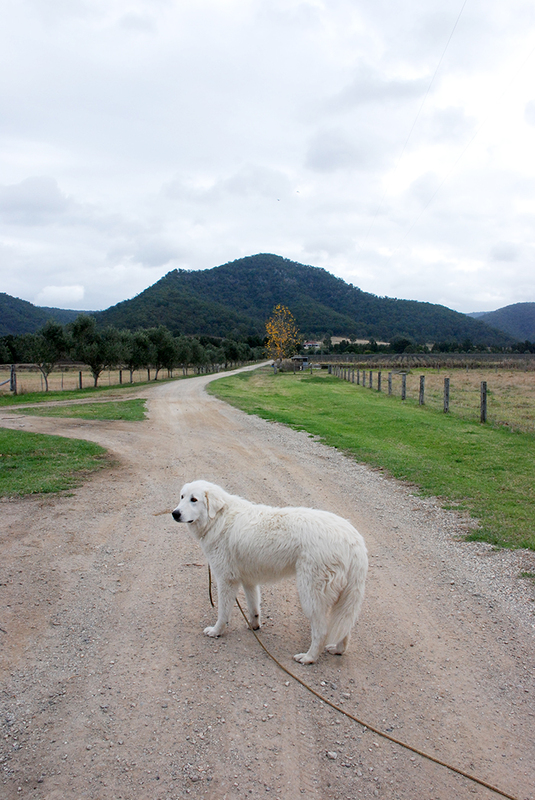 The maremma dog, the classic stock defender. He was brought to guard the sheep and poultry from wild dogs and foxes. However in a bid to tame him to humans he has been spending a little bit too much time under the family bed and not enough in the paddock. Making the most of their resources, ducks are kept on the dam for the families consumption. 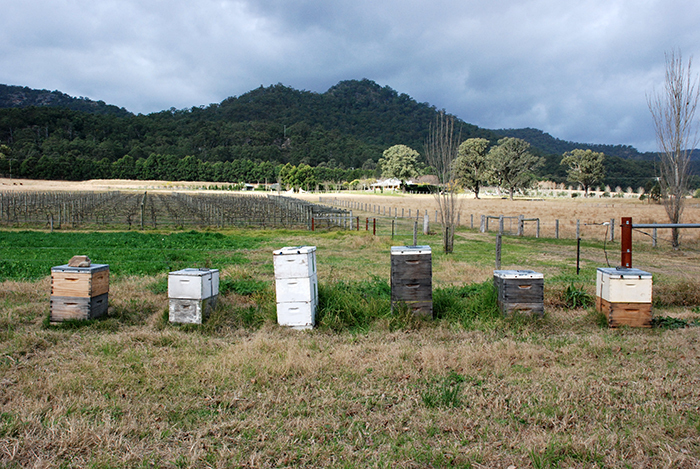 Bees provide honey for the family and the cellar door shop. Dorper sheep and chicken tractor in the vines. Poly farming systems are the opposite to mainstream monoculture, where by more than one species is integrated into a production system. Joel Salatin has populised this approach to farming in organic circles. Like nature, species are chosen that will provide mutual benefits to each. Whilst Krinklewood is predominately a wine operation, Rod cell grazes cattle, dorper sheep and chickens through his vines. 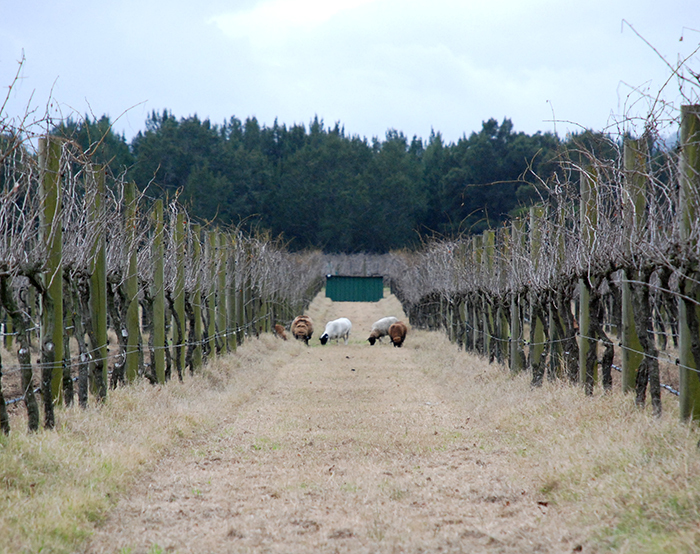 By keeping them on the move they have enough to graze to keep them from damaging the vines. So in one space he increases his yields, producing meat in addition to wine, and each of the animals provide a service, eating down the grass and weeds and turning it into beautiful fertiliser, deposited just where it is needed. This system reduces human labour and petrol inputs. I have been using my moon calender to plant by. Sometimes I feel I know when it's time to give things a break in the garden before I even look at the calender. I think most of us are more in tune with nature than we realise. Using such aids may be more a means to recognising what we already know than learning something new. Next on my list is to try out some of the biodynamic preps. I am convinced they have something to offer my garden. Cow manure that has been through the horn treatment can be purchased from specialist suppliers for use in your own garden. Give it a go. Who knows, you might find a new kind of balance.